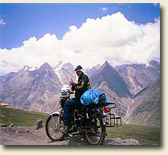 Royal Wheels India is an adventure travel group organising North India Tours Package. You've arrived at Delhi. The months of planning and curiosity are over; you're actually in India. Every experience, every sound, every smell shouts that you've arrived somewhere magical, somewhere Special. It is here that the deep love of one man for one woman created the Taj Mahal; where the King of Kings ruled; where the sacred Ganges flows past holy cities; where the Himalayas stand silent and magnificent; where 5000 years of culture waits to be absorbed. Delhi is above all an historic city, an elegant capital, content to leave to Calcutta and Bombay the roles of commercial and business supremacy. It is in fact really two distinct cities; the energy and colour and the thronged bazaars and Moghul architecture of Old Delhi contrast with the formal splendour of New Delhi, whose wide boulevards offer ever-changing perspectives of Lutyen's landscaped city. Delhi has several world-famous luxury hotels, with the comfort and style to ensure relaxation after your journey; from here, set forth to experience the sights and sounds of the city. The gracious Red Fort, the Jama Masjid (the largest mosq ue in India), the Qutab Minar complex with its soaring tower - all are waiting to be explored. Allows some time to wander round the inexpensive modern shops and handicraft centres. Magicians and dancing bears entertain crowds in the marketplaces, while fortune tellers may offer glimpses of the future. The heat of the day gives way to balmy evenings; enjoy a meal in one of the many splendid restaurants, the exotic music of sitars and veenas and the subtle rhythms of the tabla accompanying the delicious cuisines from throughout the country. 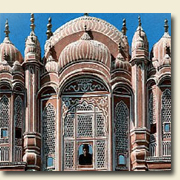 Flights and trains and buses run from Delhi all over north India, so it is always easy to reach the next destination. 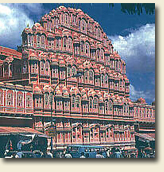 There are so many wonders in the area south of Delhi known as 'the Golden Triangle'; in this area is the sublime, world famous Mahal, the old ghost city of Fatehpur Sikri, and the exotic pink city of Jaipur in Rajasthan. Agra can be visited first, as it is only 200 kilometres south of Delhi, Weep at the beauty of the Taj where love created the world's most beautiful building, and spend a day wandering around the huge and truly magnificent Red Fort. Here the romantic emperor who built the Taj was imprisoned by his own son, and one can sit in the room where he died looking at his own masterpiece. The road from here leads to Fatehpur Sikri. The glorious Moghul courtyards and palaces conjure up dreams of the mysterious wonders of the past - a golden age of tragedy and love, the harem of beautiful wives enclosed in the women's quarters, of powerful emperors, of magical prophesies and potent charms. Southeast of Delhi, in the state of Madhya Pradesh, are the sculptured temples of Khajuraho where enormous friezes of entwined human figures practice the 'arts of love'. Nowhere else in the world is mankind's sensual nature celebrated in such intriguing and graceful tableaux. By now one will understand a tiny part of India, but even this will not prepare the traveler for the exotic fantasy of the State of Rajasthan. The region was controlled for thousands of years by a warrior race of honour and valour who would fight to certain death to protect their homeland, and the landscape is dotted with their impressive battle-scarred forts. A proud and beautiful people in their many-coloured garments will extend a warm welcome in this powerful land of kings. Nowadays, anyone can be a king or queen for a while by staying in a fairy-tale palace on one of the beautiful lakes in Udaipur. From here, the 'Arabian nights' fantasy can be extended to magical Jaisalmer - a yellow city with every building radiating the colour of the sun. Every dream of' riding a camel or seeing a tiger stalking in the distance will come to life in glorious Rajasthan. On the journey towards the peaks of the Himalayas yet another totally different and magnificent experience beckons. Imagine standing alone in the top of the world with the swirling white clouds beneath you and yet another snowy ridge towering ahead. Journeys can easily be made to silvery Kashmir, cool and beautiful Shimla, or the lush green Kulu Valley, Relax sitting on the balcony of one of the beautiful hotels in the mountains, breathing in the clear mountain air and idly watching the sparkling river cascading down the mountainside. The ancient Moghul emperors, once the greatest dynasty on earth, devoted their entire resources to the task of complementing the natural beauty of Kashmir with gardens and waterways to create a 'Paradise on Earth'. Later, the British popularized the use of houseboats moored in the tranquil Nagin and Dal lakes. Many travellers join groups trekking into the heart of the Himalayas and return to laze in their houseboats. Shimla, the 'Summer Capital' of India for the British, is a place designed for complete relaxation, a delightfully situated hill station retreat. Wander down the Mall, to watch the local people doing the same; breathe the pine scented air in the tall and beautiful forests with the sun casting light through the trees on the sparkling brooks. North of Shimla is the beautiful forested Kulu Valley, with its flowing rivers and flower strewn walks, known as the 'Valley of the Gods'. You can bite into a crisp apple plucked from one of the many orchards, or watch the local people in their homespun woollen clothes and bright Kulu caps drying apricots in the sun. So many wonders. So much to feel and see. So different. So exotic. Sri Paramahansa Yoganada, a famous Indian guru, observed how mankind is engaged in an eternal quest for that 'something else' he hopes will bring him happiness, complete and unending. We don't promise India will completely fulfill this, but she will certainly put you on a new and different path. You will never be quite the same again. The subcontinent of India lies in south Asia, between Pakistan, China and Nepal. To the north it is bordered by the world's highest mountain chain, where foothill valleys cover the northernmost of the country's 26 states. Further south, plateaus, tropical ruin forests and sandy deserts are bordered by palm fringed beaches. Side by side with the country's staggering topographical variations is its cultural diversity, the result of the coexistence of a number of religions as well as local tradition. Thus, the towering temples of south India, easily identifiable by their ornately sculptured surface, are associated with a great many crafts and performing arts of the region. In the desert of Kutch, Gujarat, on the other hand, a scattering of villages pit themselves against the awesome forces of nature, resulting in Spartan lifestyles made vibrant by a profusion of jewellery and ornamental embroidery used to adorn apparel and household linen. In the extreme north is the high altitude desert of Ladakh. Local culture is visibly shaped by the faith - Buddhism - as well as by the harsh terrain. Yet another facet of Indian culture is observed in the colourful tribal lifestyles of the north eastern states of Nagaland, Mizoram, Tripura and Manipur with their folk culture. In the central Indian states of Orissa and Madhya Pradesh, tribal village life has resulted in a variety of artistically executed handicrafts. 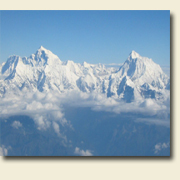 India's mountains provide skiing, river running, trekking and mountaineering. Its beaches provide lazy sunbathing as well as wind surfing and snorkeling, and its jungles provide shooting wildlife - with a camera. India's history goes hack to 3,200 BC when Hinduism was first founded. Buddhism, Jainism, Sikhism, Judaism. Zoroashtrianism, Christianity and Islam all exist within the country today. As a consequence of India's size, the history of the country has seldom been the same for two adjoining territories, and its great natural wealth has lured a succession of traders and foreign influences to it, each having left their imprint in the country, however faint or localized. Thus, Chinese fishing nets in Kerala are a throwback to that country's ancient maritime trade, while in the north, terra-cotta figurines of the centuries BC bear distinctly Greek traces. 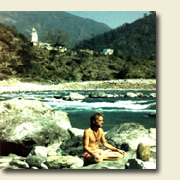 Modern India is home alike to the tribal with his anachronistic lifestyle and to the sophisticated urban jet-setter. It is a land where temple elephants exist amicably with the microchip. Its ancient monuments are the backdrop for the world's largest democracy where atomic energy is generated and industrial development has brought the country within the world's top ten nations. Today, fishermen along the country's coastline fashion simple fishing boats in a centuries old tradition while, a few miles away, motor vehicles glide off conveyor belts in state-of-the-art factories.